I loved Winnie the Pooh growing up. Ironically I did not like reading because I was dyslexic. No one knew at the time. It wasn’t until years later they diagnosed the challenge. My Winnie crush resulted in a fierce determination to read the book myself. Funny that now reading is one of my very favortie things to do. No little thanks do to Winnie the Pooh. That Hundred Acre Wood; Owl’s Treehouse, Christopher Robin’s, Piglet’s – they all seemed pretty great. A whole little world, alone – together in the forest. It’s magical, to be surrounded by nature, to be part of the flora and fauna, but to find shelter from it too. 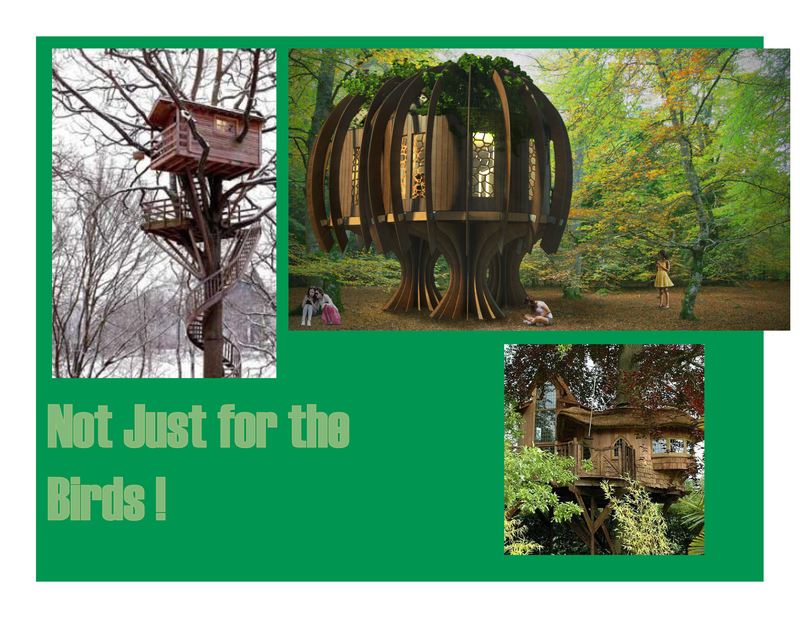 It’s no wonder architects and builders, enthusiasts of the great outdoors, and those that appreciate something unique and special over a McMansion, are creating treehouses for actual living. Not the kind of story books, and stolen escapes. They dangle like tealights in the branches of trees, and that part of me that isn’t city living at all longs to be perched up there nesting among the birds. 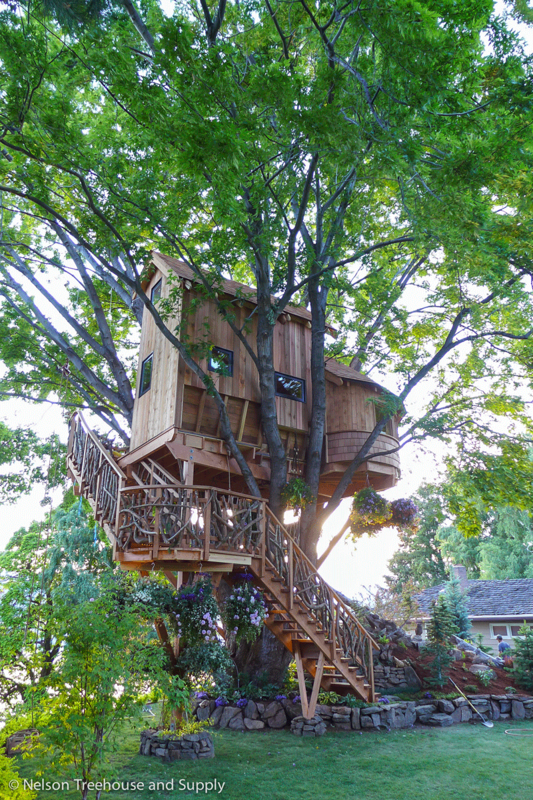 Whether you head to Home Depot to gather the materials, find them in your neighborhood, or higher the World’s Premier Design/Builder of Treehouses – Nelson Treehouse and Supply – www.nelsontreehouseandsupply.com there is something enchanting about living from that vantage point. While I feel right at home in tiny places, and love the good old outdoors, at night when it’s time to rest my tired head, I long for a soft pillow and a warm bed and most importantly indoor plumbing. Don’t fret dear friend, these homes can be constructed with all the modern amentities money can buy. Fairy Tale? I think not.